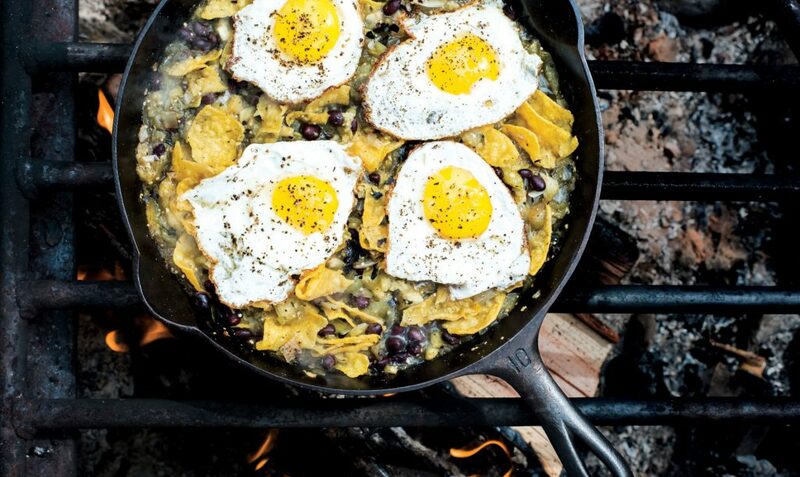 Tomatillos, tortilla chips, salsa, and eggs! Looking for great tasting energy to start your day? This is the recipe for you. I can just taste the eggs running over the salsa and chips to get my energy up after a good nights sleep in the tent! Couple this with a great big cup of tea or coffee and I could stay in that spot for days.